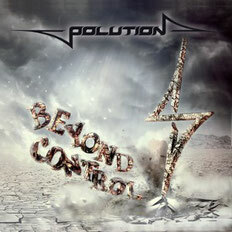 The second album "Beyond Control" with a Swiss band POLUTION is released from Escape Music on May 25, 2012. The band was founded in 1997 and has been playing in today’s music scene since 2005. They are used to playing their music in various 'rock-cellars' right up to renowned clubs in Zurich and Lucerne. POLUTION has acted as support for bands such as Krokus, Sideburn and John Coghlan (formerly of Status Quo). Being placed third at the Emergenza Bandcontest '06 in Zurich currently ranks among the band’s greatest success story.